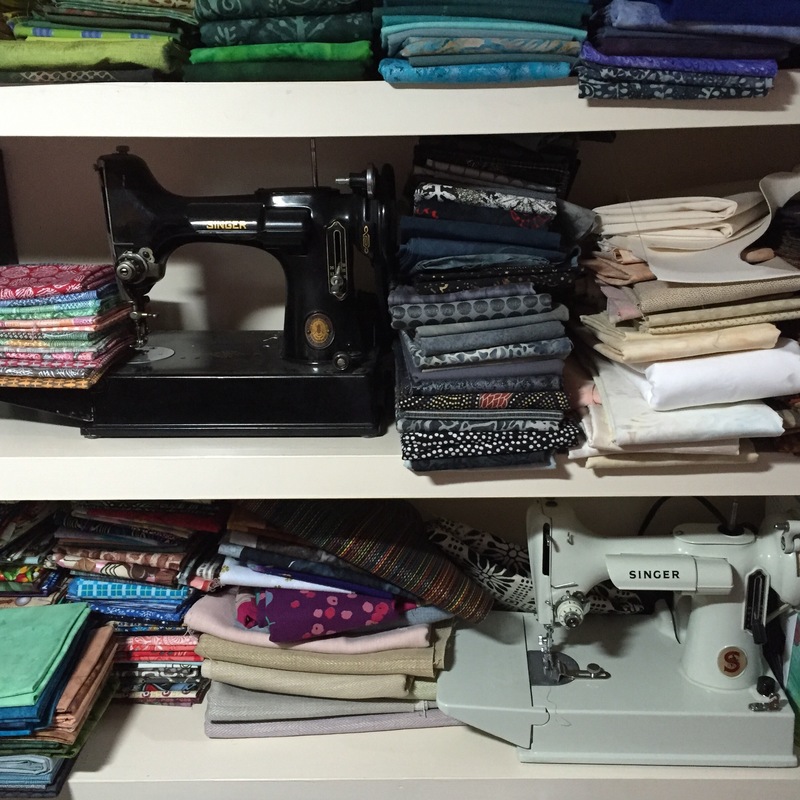 Some of my favorite things to read are articles about the studios of other fiber artists. What do you keep nearby for inspiration, motivation and purely sentimental reasons? 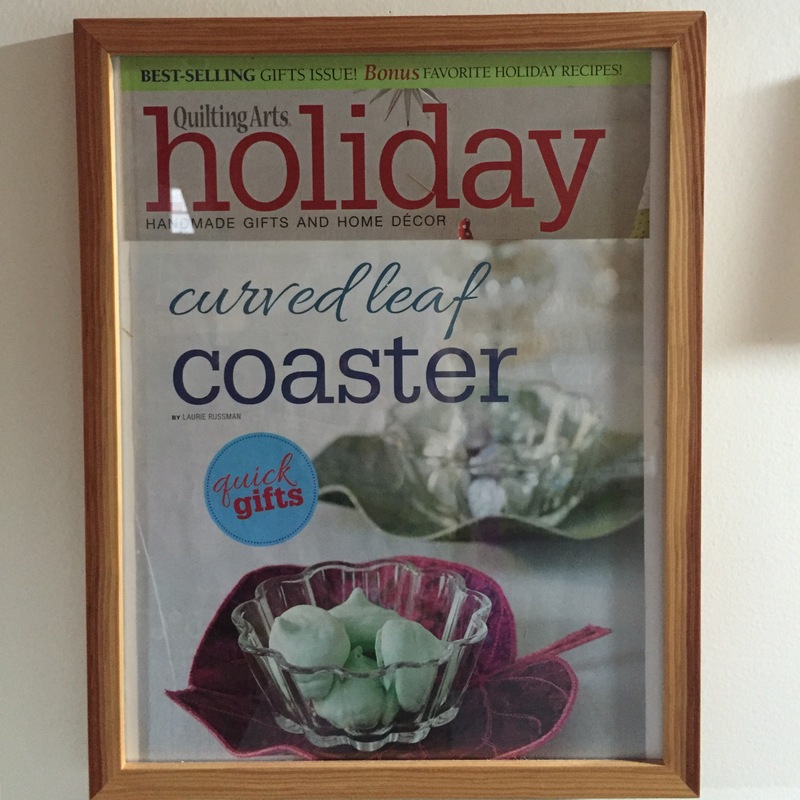 Then there is Quilting Arts magazine…I framed the article I wrote in last year’s Holiday special edition to celebrate a goal met and a reminder of all those future goals (who else has QA tv on their bucket list?!). It is also a tribute to the wonderful team that edits the magazine now…and a thank you to the founder, Pokey Bolton. 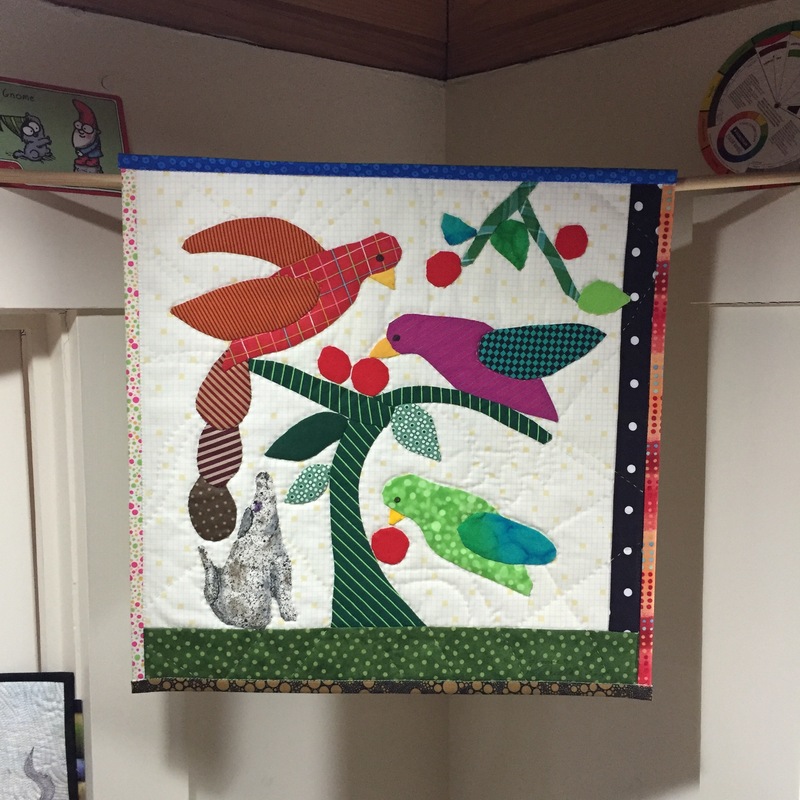 Pokey, if you hadn’t created Quilting Arts, many of us would never have heard of art quilting. 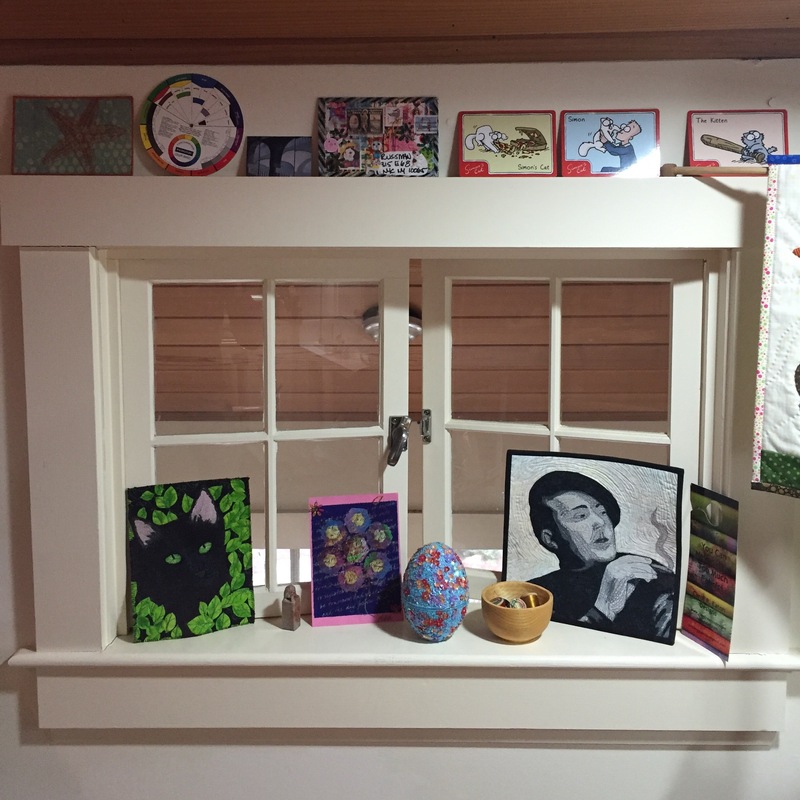 I have an internal windowsill that holds treasures and reminders of just a few of the wonderful friends I’ve made within our community. And, yes, Simon’s Cat ;). And, most precious of all, the Featherweights that belonged to my mom and favorite aunt. I learned how to sew on that black machine…and sometimes imagine the two machines gossiping with one another about those newfangled behemoths on the other side of the room :). And now, back to work on my WIPS! This entry was posted in Uncategorized on April 29, 2016 by neonkittyquilts.